In this blog article I will demonstrate three step up variations. 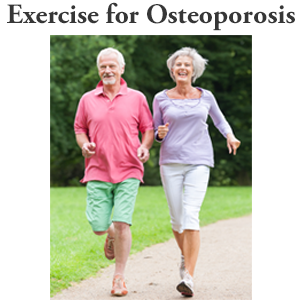 Each step up exercise is part of the Exercise for Better Bones program and can also be considered step up for balance exercise variations. Each of the exercises can be considered a Step Up to Balance exercise because you need to recruit specific muscles and actively engage your balance during the exercise. 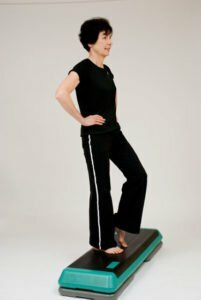 I have a whole section dedicated to balance exercises for seniors that you should also check out. 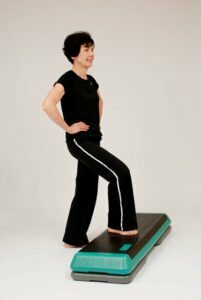 The benefits of the step up exercise include improved muscle strength (in the targeted areas of the calves, quadriceps, buttocks and shoulders) and increased bone strength in the hips, wrists and spine. 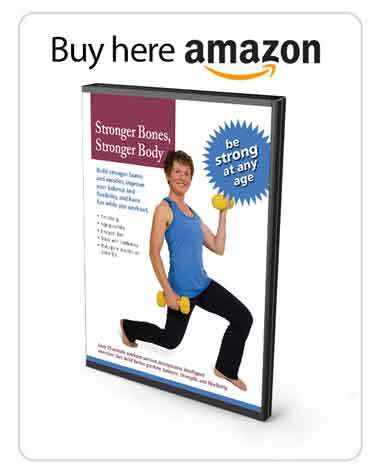 The step up exercise is an Active level strength exercise targeted at the muscles of the calves, quadriceps and buttocks, and the bones in the spine and hips. The following are the instructions for the step up exercise. This is the first of three step up variations. You can use just one of the steps in your house. Alternatively, if you happen to have a step stool, as long as it’s sturdy, you can use it. You want to forcefully place one foot on the step. You want to get some of that pounding for yourself. Step, and just place the toe of the other foot beside you. Let’s do that again, forcefully stepping up and then placing the other foot just beside for balance. Alternate sides, step and place going down. Just a little tip in terms of alignment. A lot of my clients have knee pain when they go up or down stairs, and that has to do with the alignment of their knees. Just like we looked at with the squats and with the lunges, you can use, and again, best to do this in front of a mirror, but when you step up, if you place the stick in front of your second toe, you want to look at where your knee is lining up with the stick. Again, your kneecap should be hiding behind the stick and not coming inward like this. Because coming in on a step like this is very stressful on the knee joint, or going down. A lot of people do that without realizing it. So use the muscles and recruit the muscles around your hip to pull your femur back into alignment is going to get your knee into that position. Ensure that your arch is dynamic so that you can step up and down with your knee in that alignment. Once you have your proper form, then take it with you into one of the little more vigorous step up variations. The step ups with dumbbells exercise for Athletic (for Exercise for Better Bones) builds strength in the shoulders, quadriceps and buttocks. 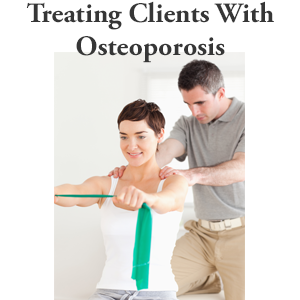 It is also targeted at the hips, spine and wrist. In the video I demonstrate how to do the step ups with dumbbells exercise with proper form. There is another video for health professionals with tips on how to use the step ups with dumbbells exercises with their clients. The following are the instructions for the step ups with dumbbells exercise. This is the second of three step up variations. While facing the step, place one foot up onto the step, bring your weight to your shoulders. Now, here’s the important thing. You don’t bring your elbows too far back. You want them in line or slightly in front of the plane of your body. As you lift the weight, just slowly, gently, tighten the tummy, bringing the weight straight overhead and back down for your first repetition. And that’s the step ups with dumbbells exercise. With all your strength training, especially in your upper body and with your step ups with dumbbells exercise, you want to keep your tongue to the roof of your mouth. 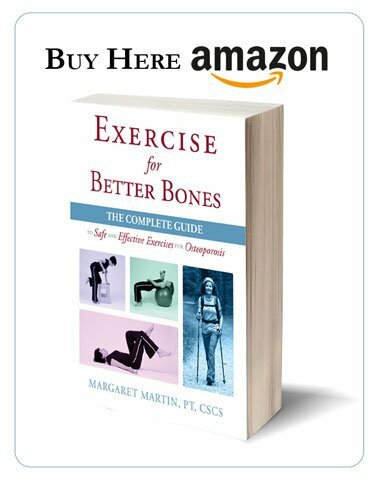 The step ups with dumbbells exercise is a strength exercise from the Exercise for Better Bones program specifically designed for the Elite Level. 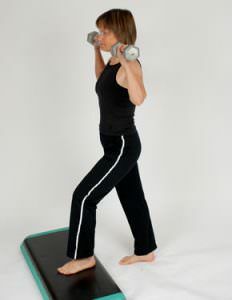 The step ups with dumbbells exercise targets the muscles of the shoulders, quadriceps, and buttocks. It also targets the bones in the wrist, spine and hips. The following are the instructions for the step ups with dumbbells exercise. This is the last of three step up variations. Stand behind your step with your weights resting on or close to your shoulders. You’re going to step straight up. As you step up, the weight goes straight up to the ceiling. The non-weight bearing leg, toe just touches the step. Do half your step leading with your right and then finish your step leading with your left. That’s it for the step ups with dumbbells exercise.